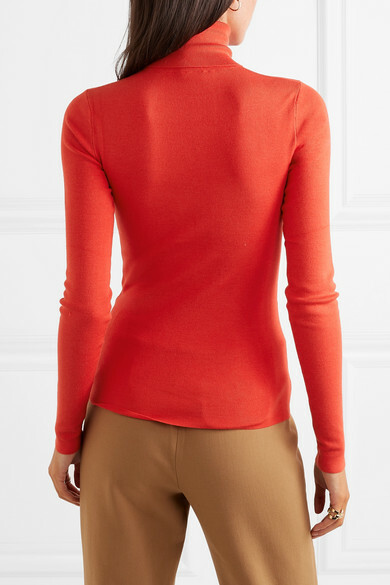 Versatile wardrobe staples needn't come in neutral hues, as Joseph's tomato-red turtleneck demonstrates - this bright shade would look great with dark denim or a classic beige trench coat. 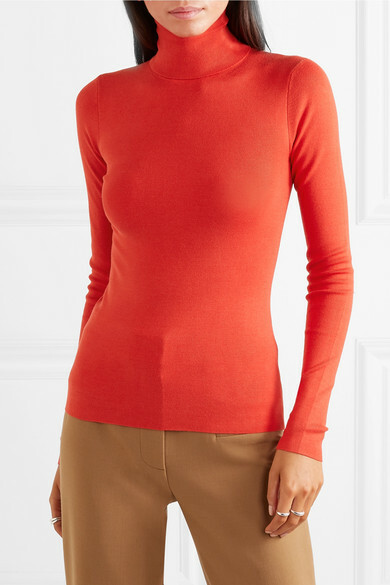 Made from a soft silk-blend, it's carefully cut for a slim fit which makes it perfect for layering. 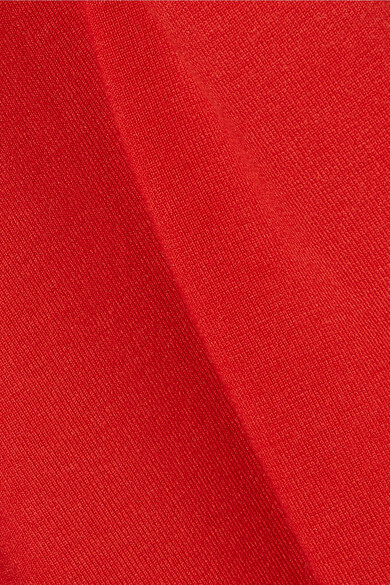 It's also woven with stretch to retain its shape after several wears. 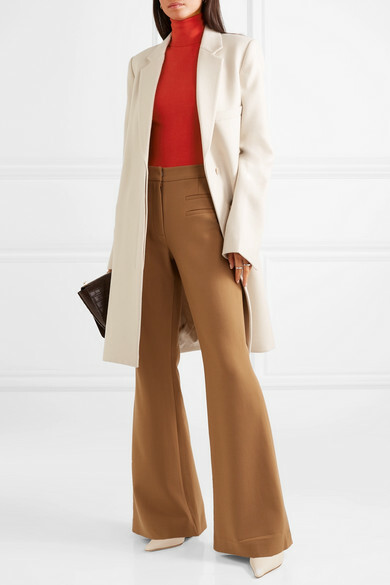 Shown here with: REJINA PYO Pants, Helmut Lang Coat, REJINA PYO Pumps, Sophie Buhai Rings.